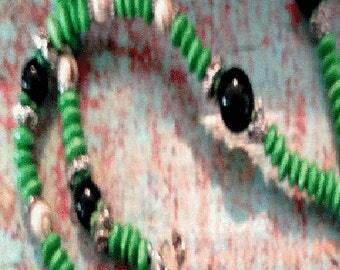 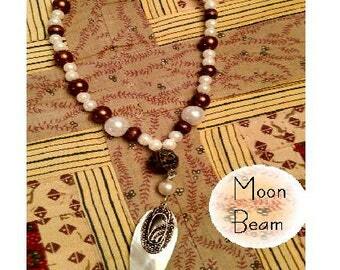 with silver colored meatal beads and closure. 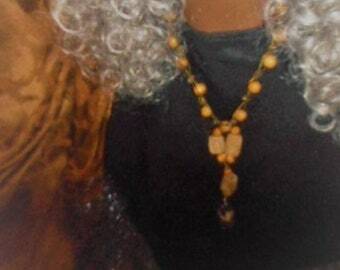 Fancy closure, and fancy beads. 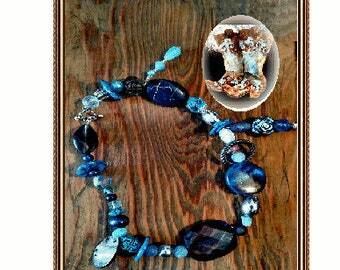 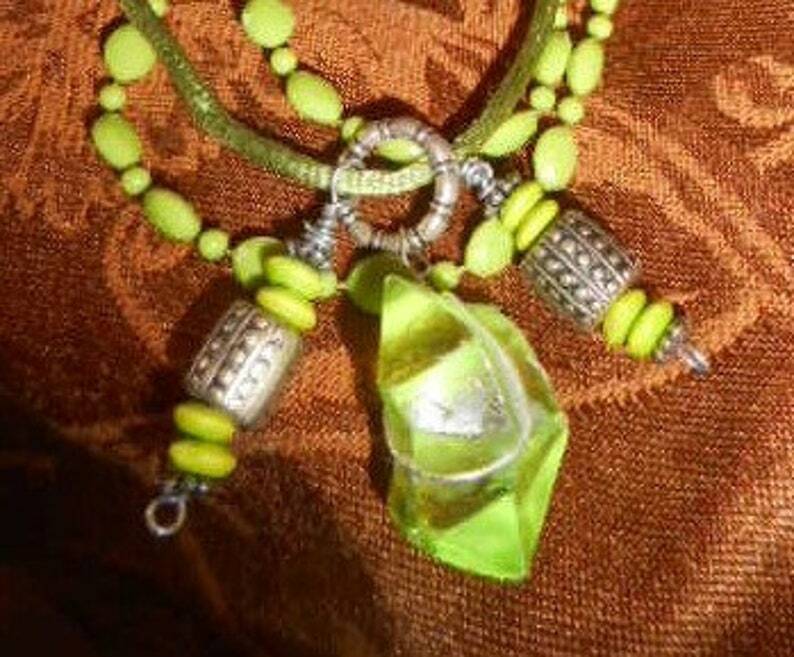 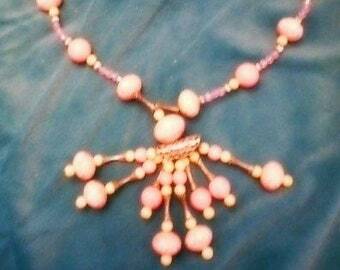 Total length of necklace with dangles is 13 inch.